Samsung Electronics has officially pulled the plug on its troubled Note 7 smartphone after repeated issues with the devices catching fire, including one incident in which a burning phone required the evacuation of a Southwest Airlines jet. The company initially recalled the Note 7 in September, offering other Samsung phones as loaners until a ‘replacement’ model arrived. Unfortunately, those too started to burn, and after several days of bad press, Samsung once again recommended that users power down their phones and exchange them for another device. Today, what many had been predicting finally happened: Samsung pulled the plug on the Note 7 entirely, stopping all production and marketing of the device. The Galaxy Note 7 was considered by many to be one of the top Android smartphones and, with a DxO Mobile score of 88, has one of the best cameras, as well. 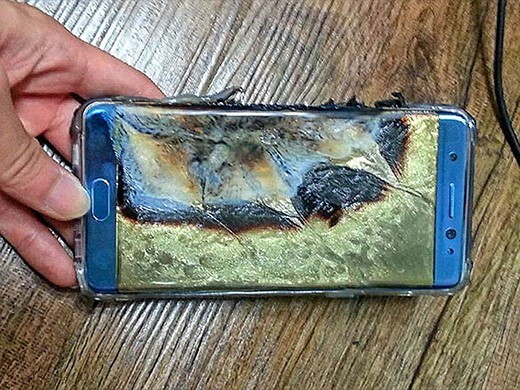 With the Note 7 now pulled from the market, many owners (this one included) are wondering what to replace it with. (The Google Pixel, LG V20 and, yes, the iPhone 7 Plus are the devices mostly commonly mentioned in online forums.) If you’re in the same boat, we’d love to hear what device you’re considering in the comments below.